Using information supplied by the tender coordinator and the subcontracting specialist in the Procurement Department, the Cost Estimating team compiles the budget within which a project can be completed. Specifically, it is the cost estimator‘s job to do this in close cooperation with the tender coordinator, the tender manager, the project managers and other relevant HMC personnel. If you feel that you can add to the performance of Heerema Marine Contractors, you are welcome to upload your resume and your motivation letter or to sign up for our Job Alert. 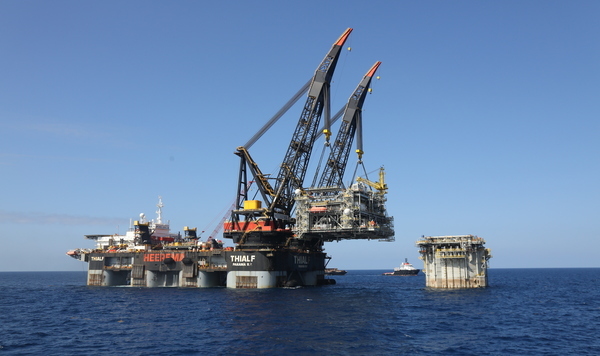 HMC has built itself a solid global reputation in the offshore industry. Originally for the transportation and installation of fixed oil and gas platforms, standing on the seabed. And for the removal of old platforms at the end of their working life. But now, increasingly, we are helping the industry to push back its own boundaries. By enabling it to operate further and further from the coast, for example, and in ever deeper water. Opening up opportunities at these extremes, where conditions are often very difficult, has required an exponential increase in the scale and complexity of the necessary infrastructure. This means that you will face new and even greater challenges, demanding your ingenious solutions and contractor mentality. Heerema Marine Contractors (HMC) has recently been the victim of a number of fraud attempts where law firms, purchase departments and potential recruits are fraudulently approached by individuals alleging to represent HMC. These attempts often originate from (but not limited to) Outlook, Hotmail, Gmail or .net addresses. For the avoidance of doubt: HMC’s domain name is hmc-heerema.com and HMC does not use the aforementioned e-mail addresses for any of its correspondence. In case you have received any suspicious e-mails from the addresses above or any new addresses that you deem unusual or odd, please contact us immediately at communications@hmc-heerema.com, or call +3171 579 9000 and ask to speak to the Communications Department.